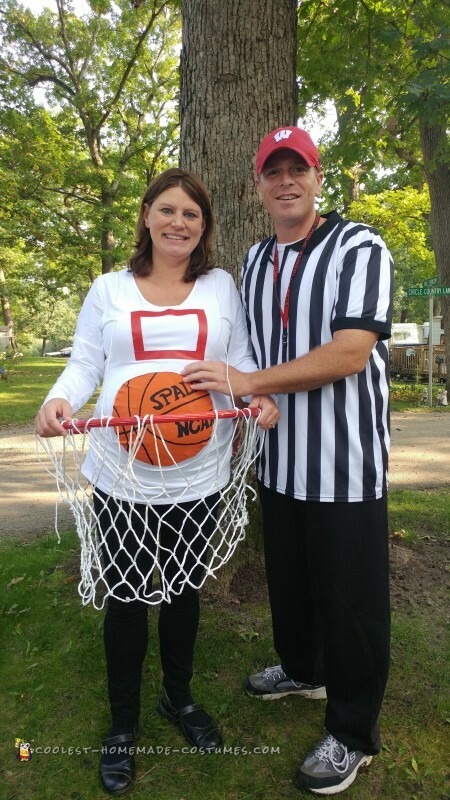 Our family loves to do Halloween family costume ideas, so when we found out we had another baby on the way we started planning. Trying to figure out how to incorporate the pregnancy into the costume was a lot of fun. 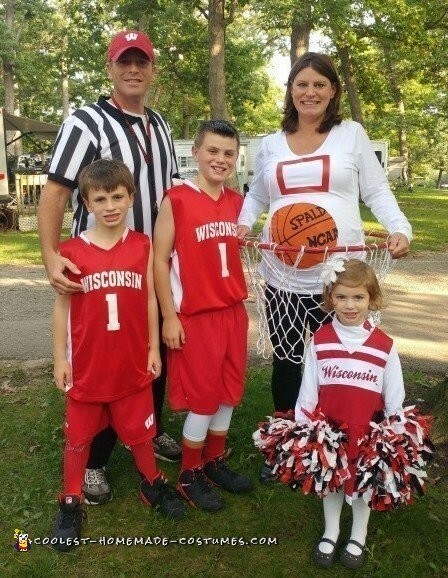 So the family basketball game costume was a very simple costume idea that included things that the kids already had (as big Wisconsin Badger fans), and involved very little cost and just some creativity!